Make sure the rent increase is in line with your contract. No one likes facing a rent increase, but it's a fact of life that's fairly common. Landlords often increase rent to keep up with maintenance costs, cover repairs and cope with inflation. Make sure your landlord gives you appropriate notice, and take the opportunity to try and get something of benefit out of the increase. Your landlord doesn't want to lose you as a renter, and may be willing to negotiate terms. The rental agreement you signed when you leased your property should mention the landlord’s ability to raise rent. Some rental agreements stipulate that rent can only be raised with 30 or 60 days written notice. Others say rental prices can go up only when the original agreement expires and is due for renewal, or can only go up a certain percentage. Make sure your landlord is meeting his contractual obligations to protect yourself and your budget. For example, if your contract says your monthly rent can rise no more than 5% at the end of a lease term, and your landlord tries to raise it 10%, meet with your landlord and remind him of the terms of your original contract. Try to negotiate a lower rental increase to save yourself a few bucks. 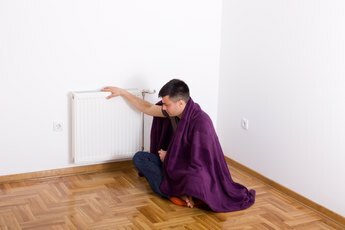 Counter propose what the landlord is asking for and see if he's willing to deal. If you have been a good and dependable tenant, chances are your landlord would rather keep your business at a lower rental rate than take a chance on a new tenant. You might also be able to barter a better deal. For example, if you rent a house where landscaping is included, tell the landlord you'll cut your own grass in exchange for a lower rental increase. If you offer to sign an extended lease agreement, he might be willing to lower the rent increase in exchange for the security of knowing you'll be a tenant over the long term. 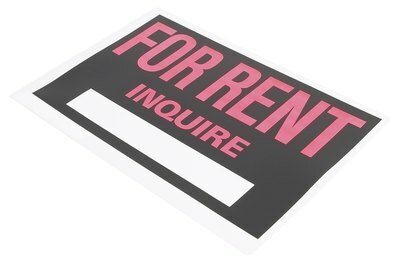 If you can't get a lower rental rate, see if the landlord will offer concessions in other areas. Maybe he will upgrade your appliances or provide a better parking space. If your rent increase is substantial and will throw your budget into chaos or stretch you too thin, take a look at other similar rental properties with lower rental prices. If you find a place you like, you might be able to use the lower rent as a negotiating tool with your current landlord. If that doesn't work, it might be worthwhile to move into a new place to save money. Weigh the costs associated with relocation against the extra money you’d pay staying put. If moving isn't a reasonable option and you can't get your landlord to budge on the price increase, adjust your budget to accommodate the extra expense. Trim unnecessary expenditures such as entertainment and dining out, and cut back on fuel costs by carpooling or taking public transportation on occasion. If you have extra space, consider renting a room to a friend or relative to help defray costs.